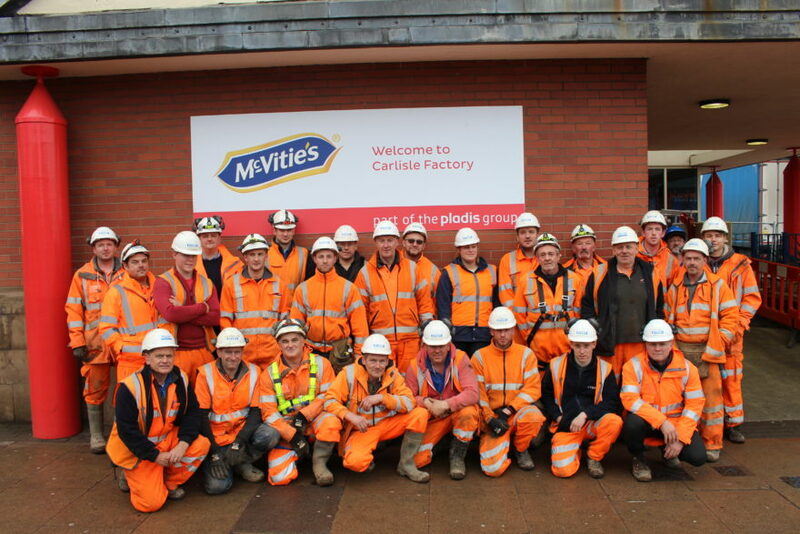 Story Contracting’s Construction division are working on a flood defence scheme at the McVitie’s factory in Carlisle and recently reached another milestone as the site officially became flood resilient on 1 December. The works which commenced in August went from a 10 week job to deliver 3 flood safe walls, into a 30 week project worth in excess of £2 million. The scheme is on track for full completion in spring 2017. The success of the project is a testament to the hardwork and continued commitment of the team which consisted of approximately 30 Story operatives, led by Craig Nairn and Andy Reay.